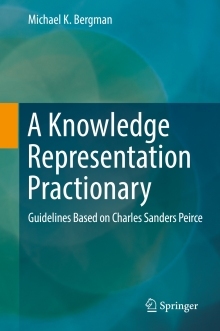 Last year I described in an article, The Importance of Being Peirce, how Charles Sanders Peirce, the late 19th century logician and polymath of the first order, provided a very powerful framework with his universal categories to capture the needs of knowledge representation. That article outlined Peirce’s categories of Firstness, Secondness and Thirdness, and how they informed those needs, especially in the areas of context, meaning and perspective. These areas, grounded in the idea of Thirdness, have been missing linchpins in nearly all upper ontologies to date. As we come to understand knowledge graphs as a central feature of knowledge-based artificial intelligence (KBAI), how we bring these concepts into our representations of the world is of utmost importance . In this article, I want to expand on that theme by talking about how this Peircean mindset can help inform answers to new problems, problems that Peirce did not directly address himself. Indeed, the problems that set this context are machine learning and natural language understanding, all driven by computers and electronic data unimagined in Peirce’s day. Because my views come from my own context, something that Peirce held as an essence of Thirdness, I can not fairly say that my views are based on Peirce’s own views. Who knows if he would endorse my views more than a century after his death? But, my take on these matters is the result of much reading, thought, repeat reading and study of Peirce’s writings. So while I can not say my views are based on Peirce, I can certainly say that my views are informed by him. And they continue to be so. As we use Peircean principles to address new problems, I think it is important to describe how Peirce’s views are informing that process. This explanation is hard to convey because it tries to explicate one of the most subtle aspects of Thirdness, what I call herein mindset. Thus, while last year’s noted article covers the what of Peirce’s universal categories, this article attempts to explain the how we think about and develop that mindset . There are philosophers, logicians and scholars who study Peirce as a passion, many for a living. 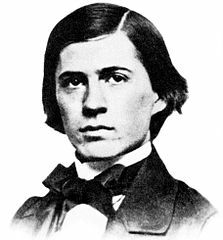 There is a society devoted to Peirce, many Web sites such as Arisbe at the University of Indiana, online forums including for biosemiotics, annual conferences, and many individuals with their own Web sites and writings who analyze and pronounce strong views as to what Peirce meant and how he should be interpreted. Though Peirce was neglected by many during the heyday of analytical philosophy throughout the 20th century, that is rapidly changing. The reason for Peirce’s ascendancy, I think, is exactly due to the Internet, with then ties to knowledge representation and artificial intelligence. Peircean views are directly relevant to those topics. His writings in logic, semiosis (signs), pragmatics, existential graphs, classification, and how to classify are among the most direct of this relevancy. But relevant does not mean agreed upon and researchers understand Peirce through their own lenses, as the idea of Peirce’s Thirdness affirms. Most Peircean scholars acknowledge changes in Peirce’s views over time, particularly from his early writings in the 1860s to those after the turn of the century and up until his death in 1914. Where Peirce did undergo major changes or refinements in understanding, Peirce himself was often the first to explain those changes. Peirce also had strong views about the need to be precise with naming things, best expressed by his article on The Ethics of Terminology . His views led him to often use obscure terms or his own constructions to avoid sloppy understanding of common terms; he also proposed a variety of defining terms throughout the life of many of his concepts in his quest for precision. So even if the ideas and concepts remained essentially unchanged, his terminology did not. Further, when his friend William James began writing on pragmatics, a term first proferred by Peirce, but explained by James in ways not wholly agreed by him, Peirce shifted the definition of his own concept to the term pragmaticism. That we live in an age of information and new technologies and new developments is a truth clear to all. These developments lead to a constant barrage of new facts. What we believe and how we interpret that new information is what we call knowledge. New facts connect to or change our understanding of old “facts”; those connections, too, are a source of new knowledge. Our: 1) powers of observation and learning and discovery; 2) interactions and consensus-building with communities; and 3) the methods of scientific inquiry, all cause us to test, refine and sometimes revise or discard what we thought to be prior truths. Knowledge is thus dynamic, constantly growing, and subject to revision. Just because our knowledge may be incomplete or false, Peirce does not advocate anything goes. There is objective reality and there is truth, whether we can see or touch or think about it. Right beliefs are grounded in shared community concepts of truth; testing and falsifying our assumptions helps peel back the layers of truth, improving our basis for right action. The quest for truth is best embodied in the scientific method, where we constantly revise and test what we think we know. When the fact emerges that does not conform to this worldview, we need to stand back and test anew the assumptions that went into our belief. Sometimes that testing causes us to change our belief. New knowledge and innovation are grounded in this process. Terminology is also important in this task. Our ways of testing and communicating knowledge are dependent on how accurately we are capturing the objective truth and how well we can describe and communicate it to others, who are also pursuing the same quest for truth. But, because the information needed for such knowledge is never complete, nor is the societal consensus for how we describe what we observe about the truths for which we quest, our understanding is always incomplete and fallible. We thus hardly live in an either-or world. Shades of gray, what information is available, and differences of perspective, context and shared meaning, each affect what we call knowledge. Binary or dyadic upper ontologies (in the domain of knowledge representation), the most common form, can by definition not capture these nuances. Peirce’s most effective argument for Thirdness resides in providing perspective to dyadic structures. A thirdness is required to stand apart from the relation, or to express relations dealing with relations, such as to give. The ability to embrace this thirdness is the major structural choice within KBpedia. We also hardly live in a world of complete information. A key reason why two agents or parties may not agree or share the same knowledge of an idea is the difference in the information available or employed by each of them. This difference can be one of scope, the nature of the information, or the nature of the agent. Differences in information pepper Peirce’s examples and arguments. Peirce had a very precise view of information as the product of the characteristics of a subject, which he called depth, times the outward relations of that subject, which he called breadth. The nature of information is that it is not equal at all times to all agents or interpreters. In the realm of semantic technologies, the logical framework to capture this truth of the real world is known as the open world assumption (or OWA) . It is a topic we have written about for years. Though the OWA terminology was not available in Peirce’s time, the idea is certainly part of his mindset. Peirce has historically been known best as the father of pragmatism (pragmaticism, see above). The central ideas behind Peircean pragmatism are how to think about signs and representations (semiosis), how to logically reason and handle new knowledge (abduction), statistics, making economic and efficient research choices, how to categorize, and the importance and process of the scientific method. All of these contributions are grounded in Peirce’s universal categories of Firstness, Secondness and Thirdness. And herein lies the key to being informed by Peirce when it comes to representing new knowledge, categorization, or problem-solving: It is the mindset of Thirdness and the nature of Firstness and Secondness that provides guidance to knowledge-based artificial intelligence. I continue to assemble examples of Firstness, Secondness and Thirdness across Peirce’s writings. I probably have assembled 100 such trichotomies, parts of which I’ve published before . Each of these trichotomies is embedded in Peirce’s writings, which need to be read and re-read to appreciate the viewpoint behind each specific triad. It is through such study that the mindset of the universal categories may be grokked. I’ve also spoken in practical terms for how I see this mindset applied to questions of categorization and emerging knowledge in knowledge bases, knowledge representation, and artificial intelligence (KBAI) . From the perspective of KBAI, being informed by Peirce thus means that, firstly, we need to embrace terminology that is precise for concepts and relations to communicate effectively within our communities. Secondly, we need to capture the right particular things of concern in our knowledge domain and connect them using those relations. This mindset naturally leads to a knowledge graph structure. And, thirdly, we need to organize our knowledge domain by general types based on logical, shared attributes, but also embrace a process for expanding that structure with acceptable effort to deal with new information or emergent knowledge. Changes in Firstness or Secondness are reasoned over in Thirdness, beginning the process anew. And that leads to a final observation about mindset, especially with regard to Thirdness. Continuity is an aspect of Thirdness, and discovery of new knowledge is itself a process. Concepts around space and time also become clearer when they can be embedded in a understanding of continuity. Peirce effectively argues for why three is the highest n-ary relation that can not be decomposed, or reduced to a simpler form. The brilliance of Peirce’s mindset is that first, second and third are a sufficient basis to bootstrap how to represent the world. Knowledge can not be represented without an explicit thirdness. Most references to Peirce herein are from the electronic edition of The Collected Papers of Charles Sanders Peirce, reproducing Vols. I-VI, Charles Hartshorne and Paul Weiss, eds., 1931-1935, Harvard University Press, Cambridge, Mass., and Arthur W. Burks, ed., 1958, Vols. VII-VIII, Harvard University Press, Cambridge, Mass. The citation scheme is volume number using Arabic numerals followed by section number from the collected papers, shown as, for example, CP 1.208. In a still earlier article, “A Foundational Mindset: Firstness, Secondness, Thirdness” (M.K. Bergman, 2016, AI3:::Adaptive Information blog, March 21, 2016), in its concluding sections I attempted to explain the how of applying Peirce’s universal categories to the questions of categorization and representing new and emerging information. See further CP 2.219-226. Also an earlier article that helps provide Peirce’s views on communications is, How to Make Our Ideas Clear. I’ve written much over the years on OWA. See especially M.K. Bergman, 2009, “The Open World Assumption: Elephant in the Room,” AI3:::Adaptive Information blog, December 21, 2009. See further the citation in . The Peircean mindset of the universal categories of Firstness, Secondness and Thirdness can help inform answers to new problems, particularly knowledge representation and artificial intelligence. But guidance for these new problems is not found directly in Peirce's writings. This article argues It is the mindset of Thirdness and the nature of Firstness and Secondness that provides guidance to knowledge-based artificial intelligence.